Instagram has been an amazing place for me to find and connect with like minded creative souls. One of those fortuitous meetings has been with Pippa Taylor, a macramé and tassel making genius behind the cutely named Ouch Flower. Pippa’s photos of her fabulous creations and her retro styled home always have me hitting the ‘like’ buttons and often wishing I could like them twice. I’ve been planning these Space to Create posts a few weeks in advance of the publication dates, and this is one that I’ve been very excited about sharing with you. One of the things that I’m enjoying with this series of interviews is seeing the dedication and passion of people like Pippa who are getting on and doing their own thing. I live in Melbourne with my husband and son. We call a 70’s brick house near the beach home. We share our home with Pippsi and Hamster, our cats! I’m a keen collector of roadside trash, this mid century Australian click clack sofa was abandoned on my street, Mr Ouch and I lugged it home. I had it completely refurbished and upholstered. I knew she was special, just look at those legs! We now call her Lady Turquoise. She’s a rare design, I’m yet to confirm whether her maker is Fler, Danish Deluxe or T.H Brown? My West German Pottery Collection has grown over time, many are thrift finds but I do seek them through eBay and Etsy. Everywhere in my home…..I try to just work at my studio desk but that doesn’t last for long! 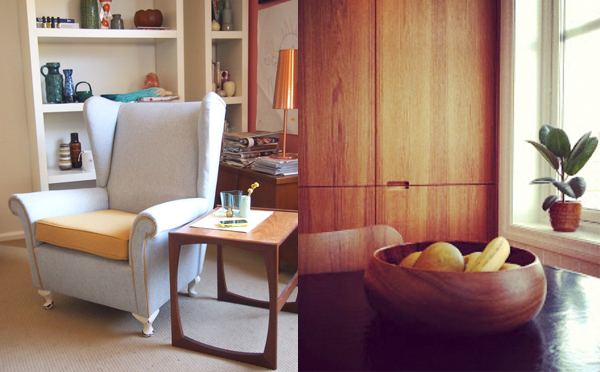 In the evening I sit in the mama chair (Parker Wing Back Armchair) and tie knots! The Mama chair, another thrift find, recently reupholstered in grey and yellow. I create everyday, in my day job as a Visual Arts teacher and at home creating for my Ouch Flower label. I studied Craft at Monash University and completed my honours degree in clay, in 1998. I then studied to be a teacher in 1999. In 2000, I travelled to the UK to teach and in 2002 my then boyfriend, now husband, and I returned home. Once settled I continued to dabble in a range of crafty activities and exhibited my clay work locally but it wasn’t until the birth of our son that the desire to really try my hand, came about. My son gifted me the words Ouch Flower, 18 months ago, to describe the many cacti in our home. I began my blog and have not looked back! 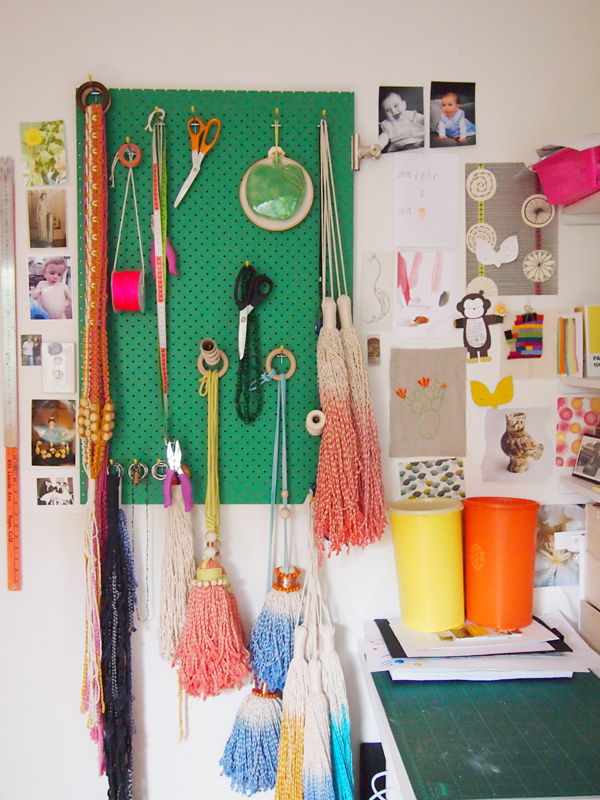 I’m a Tassel Maker, Macramé Knotter, Potter, Thrifter, Collector, Mother and Cactus Lover! Practical, passionate, persistent, playful, positive and a good sense of humour! I find inspiration from the making process, one idea always leads to another then another! I’m constantly looking to create a variety of things and I’m not afraid to experiment and try new things. Not everything works but that is part of the fun! I keep motivated by engaging with the most amazing design and maker community on Instagram! I love the blogging community and have made many dear friends too. I love thrifting and have been slowly building up my collections, many of my pieces have inspired my tassel colour palette. I also design macramé works to pay homage to blogs that inspire me and blog friends I have made. 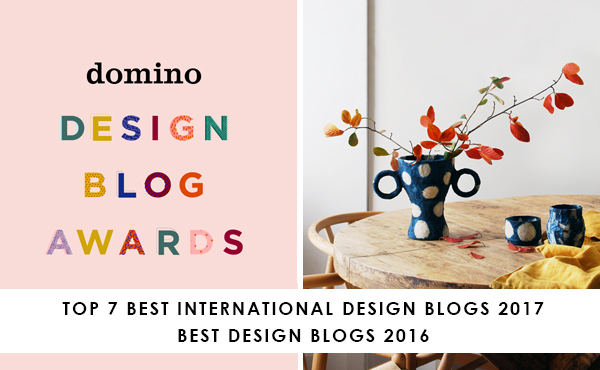 It’s documented in a blog post series called “Blog, Design, Dedication“. So for me inspiration is in making process and from the people around me! Essential items for me in my workspace are my sketchbook, iPad, camera, twine and dye! Any advice I could give someone wanting to ‘try their hand’ is …..Make, blog, Instagram and make friends! My dream …is too tassel the world, macramé my way out of my day job, own a Featherston armchair, travel to Scandinavia and maybe one day write a craft book. Thanks Pippa for allowing us into your home and creative world! 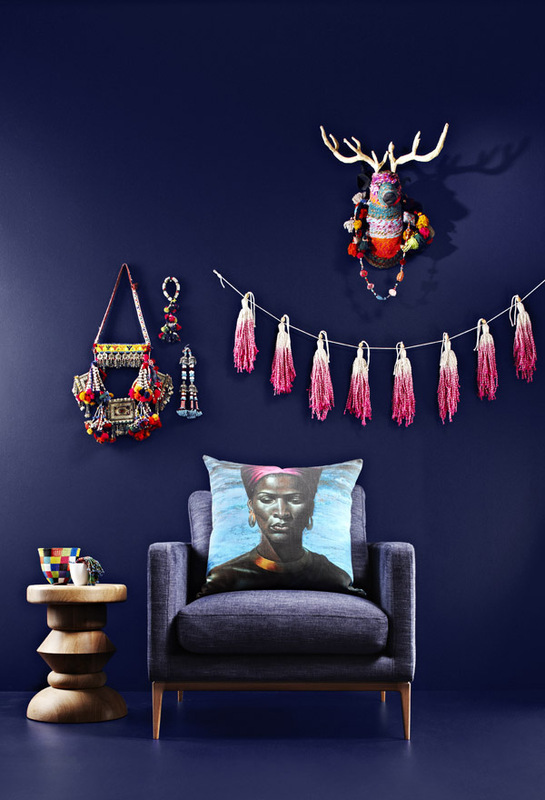 I want to finish with this stunning image from a recent campaign by Dulux… featuring an Ouch Flower Tassel Garland. Isn’t it just beautiful? All images: Pippa Taylor for Ouch Flower, except last image from Dulux. If you missed previous posts in the Space to Create series I’ve interviewed artist Penny Leaver Green, fabric designer Saffron Craig, and photographer Mariana Garcia-Katz.